The licensed Sesame Street Learning Town is a unique playground that combines hours of playtime fun with educational tools. This inflatable game, designed for ages 3 to 5, offers counting, quantity, color coordination, orientation, professions, and safety activities, to name a few! A fantastic Elmo entrance takes kids under a Sesame Street sign, where a swinging Grover center door greets them, while three-dimensional components like Oscar the Grouch, a flower and a phone booth round out the theme. Artwork with everyone's favorite characters can be seen on 360 degrees of the outside walls. 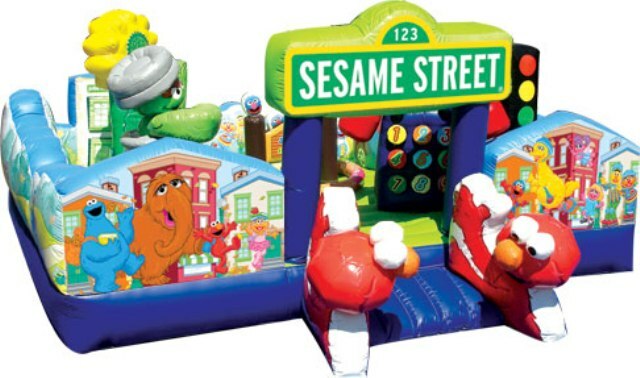 The Sesame Street Learning Town inflatable play structure is part of an exciting line of licensed Sesame Street products through Amazing Jumps We Kick The Party Off Inc. This inflatable game can be an amazing centerpiece for an Indoor FEC or any backyard party. The inflatable play structure takes participants up a climb and down a slide and past pop-ups to facilitate maneuvering skills and build confidence. The inflatable play structure guarantees hours of enjoyable physical activity. 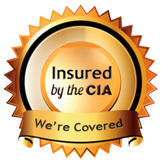 This Inflatable unit is constructed of the fire-resistant, lite n' strong™ vinyl for easy portability, durability and safety.